I’ve never been a very good journal keeper. As part of my Advent discipline, I’d like to pay attention to the things happening around me and actually write some of them down, to help myself remember and to give you a picture of what life in Cairo is like for me and the people with whom I work and live. 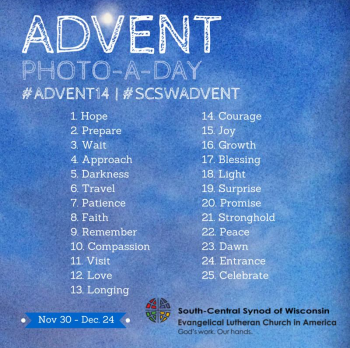 I’ll be sharing a short daily reflection, based on the photo themes for my synod’s Advent Photo-a-Day calendar. If you would like to receive these reflections leading up to Christmas, please sign up here. South-Central Synod… on Why do I love Cairo? Deborah on Why do I love Cairo?